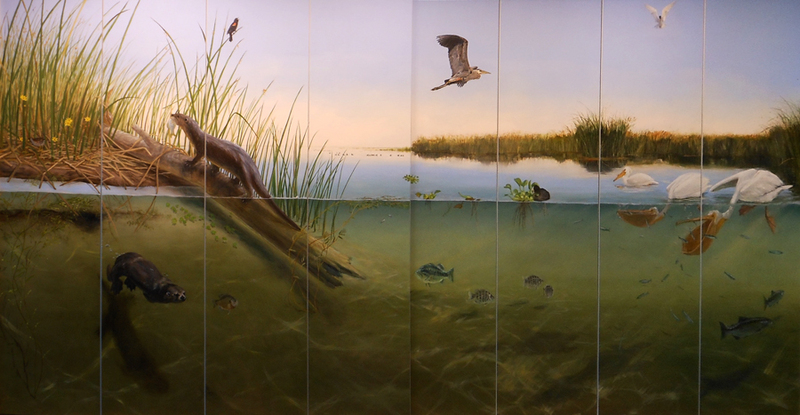 Alumni Exhibits artists Ali Pearson and Bridget Keimel have completed a 28′ x 8′ mural which depicts the Delta’s wetlands. 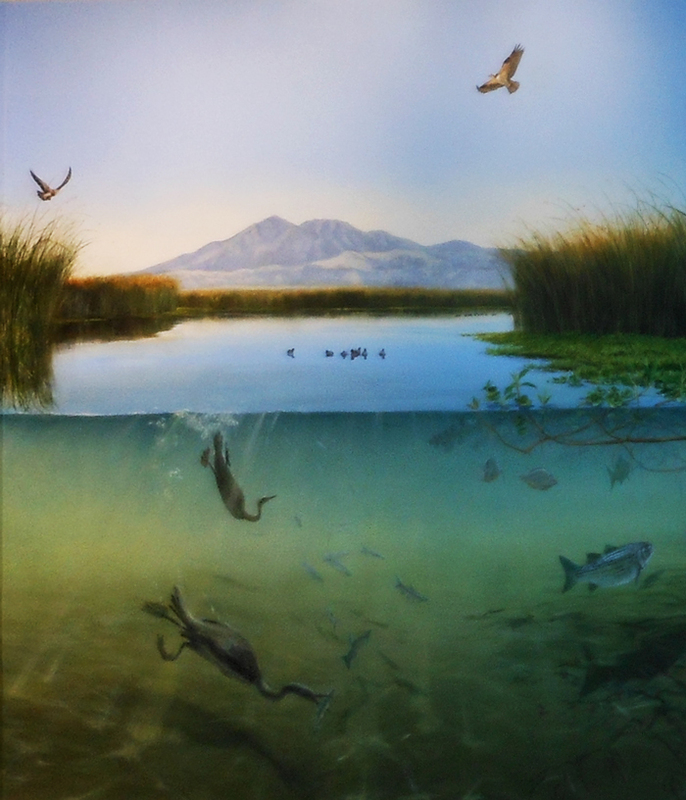 This mural will be on display at the Big Break Regional Shoreline and its Visitor Center, visit www.ebparks.org/parks/big_break. 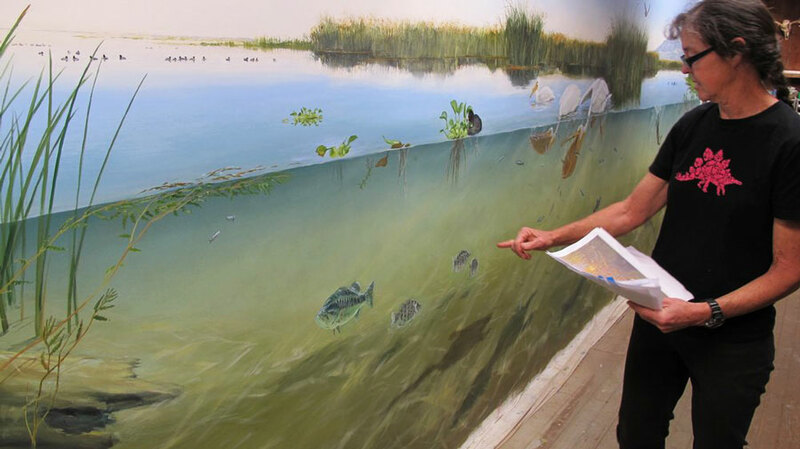 Artist Ali Pearson works on the mural to be installed in the Big Break Visitor Center at the Delta in Oakley.